When it comes to getting around Costa Rica, you have questions: How can you travel? Or rather, how should you travel? What’s the fastest, or the cheapest, or the easiest method of travel? Is there anyone one “best” way to navigate Costa Rica? 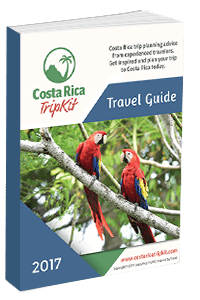 For independent travelers and the adventurous, rental cars are, hands-down, THE go-to transportation in Costa Rica. Note that flying into the Liberia airport (LIR) and renting a car from there is a great option since there’s very little traffic (in contrast to San Jose) and you’re only a short drive to beach destinations like Tamarindo, Samara, Nosara and Santa Teresa. Rental cars are one of the least expensive transportation options, usually coming in somewhere around $50-$75/day for a mid-sized vehicle. The country’s main highways (for example, between San José and Manuel Antonio) are generally easy to navigate and have few potholes. A rental car gives you the freedom to really explore — to make stops at random roadside restaurants (or just bathroom breaks), to meander down a dirt road, and to break at interesting shops and scenic viewpoints. Waze is excellent in Costa Rica. (Google Maps is also decent.) Be sure to have an international data plan, or to pick up a local SIM card with data (inexpensive, but you’ll need an unlocked cell phone), so you can load the maps. While highways offer decent driving, most secondary roads suffer from infrastructure woes, including excessive potholes, very narrow streets, huge ditches, and other pitfalls. Traffic can be an absolute nightmare. If you get motion sickness easily, driving Costa Rica’s sharp turns and navigating obstacles can cause queasiness. Bottom Line: For confident drivers, rental cars offer the greatest freedom to explore, but these ain’t your grandma’s roads. Hiring a private driver (with vehicle included) is a very popular option in Costa Rica. Hands down, it’s the easiest, most convenient option of all. That said, the cost can be a pro or con, depending on how you look at it: Private drivers aren’t cheap (think: $130-$300 per trip, or $175 per day for your whole trip), but that price includes a vehicle and driver. And if you have a large group (and would, therefore, need two rental cars), the cost of a private driver (with a large van) is even more affordable. You can enjoy the freedom of a rental car — stop where you want, when you want, and according to your own schedule — without having to actually drive Costa Rica’s roads. Sit back and relax — you won’t have to worry about traffic jams, unmarked detours, landslides, and other common road problems. Many drivers speak English and act as informal tour guides, pointing out the best lookout points, sights and shops along the route. Unless you’ve hired a driver for the duration of your trip, once you arrive at your destination, you’ll have to rely on taxis/golf carts/bicycles/your own two feet to get you around. A private driver doesn’t come cheap. Bottom Line: If you like the idea of rental car freedom, but not the actual task of navigating Costa Rica’s roads, hiring a private driver offers the best of both worlds. Shared or semi-private shuttle buses (e.g. Interbus and Gray Line) are a popular, prolific and efficient choice in Costa Rica. They’re usually large, comfortable vans (15-20+ passengers) with air-conditioning, and offer shared pickup points (e.g. popular hotels) from most major tourist destinations to most other major tourist destinations. At $40-$55 per person, per ride, shared shuttles can be a good deal for a couple or family of 3. Shared shuttles offer more convenient pickups/dropoffs than the public bus, and drivers usually speak English. Vans are in good condition, with cold air-conditioning. Bathroom and food breaks happen often enough and last long enough. You can book a private or semi-private shuttle from almost any hotel to any hotel in Costa Rica. For groups of 4+, private drivers are usually less expensive (and more convenient) than a shared shuttle. Luggage space is limited, so you may be restricted to only one or two bags. Ask in advance! Once you arrive at your destination, you’ll have to rely on taxis/golf carts/bicycles/your own two feet to get you around. Bottom Line: For small groups (up to 3 travelers), shared shuttles offer a good trade-off between cost and convenience. Local airlines Nature Air and Sansa connect most major tourist destinations and offer daily flights in small planes (6-15 passengers each). Flights are fast and plentiful, and flying from one corner of the country to the other can easily save you a full day of travel. NatureAir (a carbon-neutral airline, by the way) is usually a bit less expensive than Sansa. Buy well in advance, and rates are even more reasonable. Examples: San Jose to Arenal: 20 minutes (vs. 2 hours, 30 min. driving) and $79-$109 per way; Arenal to Manuel Antonio: 25 minutes (vs. 4 hours, 30 minutes driving) and $94-$144 per way; San Jose to Nosara: 50 minutes (vs. 4 hours, 30 minutes driving) and $94-$149 per way. If you get airsick, bumpy puddle jumpers are not your friend. Lower-cost fares come with serious luggage restrictions (lowest = 15 lbs, TOTAL luggage). You’ll have to arrange in advance for transportation from the airport to your hotel, as some of the smaller airports don’t have taxis waiting around. Bottom Line: If time is of the essence, flying will shave hours off long and bumpy drives. Costa Rica’s public bus system is extensive and well traveled. If you have patience, some Spanish, and travel smarts, the bus is cheap, semi-convenient, and even fun. Public buses are, by far, your cheapest option, even compared to shared shuttles (which cost $40-$50 each, per person). Examples (prices approximate, based on $1 = ¢560): San Jose to Jacó, $4; San José to Manuel Antonio, $7.25; San José to Nosara, $8.20. Buses are comfortable but not luxurious. For long-distance travel, seats are typically cushy and upholstered. Most buses do not have air conditioning, so, grab a window seat. The public bus goes almost everywhere, although certain routes will require several buses. The Bus Schedule does a decent job of getting you from Point A to Point B, but always call to confirm schedules, bus stops, and other details with the individual bus company, and information changes quickly. Buses don’t have air conditioning, so they tend to heat up, especially in the rainy season (May-Nov), when Costa Ricans close all the windows. Public buses fill up. And we do mean, FILL UP. By the time you board, it may be standing room only, even on long trips. Routes can be circuitous and make a lot of stops, so travel time is slow. For example, a shared shuttle takes ~2.5 hours from San José to Monteverde, while the public bus ride lasts ~4.5 hours. Bathroom/food breaks can be few and far between. Don’t drink too much! If you’re not departing/returning to San Jose or Liberia, you’ll almost certainly have to take multiple buses. For example, there’s no public bus from Monteverde to Manuel Antonio; you’ll have to pass through San José (and go way out of your way) first. Bottom Line: If you have more time than money, public buses are the way to go. But, if you’re here for only 7-10 days, you’ll want to make the most of your time with other methods of transportation.